Rights & Rightlessness: Rhoda Hassmann on Human Rights: Capitalism Good, Communism Bad—except for prison labour! IKEA and the East German police state. Capitalism Good, Communism Bad—except for prison labour! 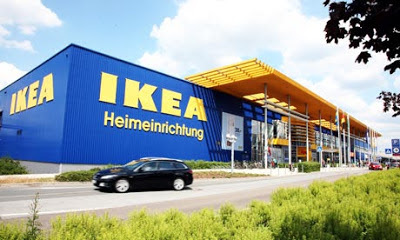 IKEA and the East German police state. I maintain a website on political apologies, which can be accessed here: http://political-apologies.wlu.ca. I define political apologies quite broadly to include apologies by private entities such as churches and corporations as well as governments. Last week I read an article by Kate Connolly in Toronto’s Globe and Mail (see reference below) about one such apology. Peter Betzel is the head of the German branch of IKEA, the furniture and houseware giant based in Sweden. He has issued an apology to former East German political prisoners who while in prison had to manufacture products for IKEA. You can read the same article here, in the British paper, the Guardian: http://www.guardian.co.uk/business/2012/nov/16/ikea-regrets-forced-labour-germany. East Germany was not a nice place. 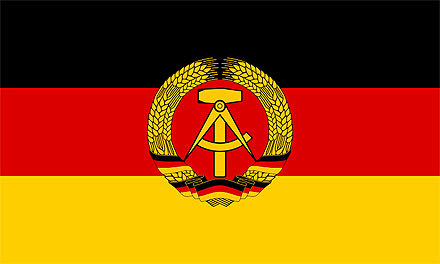 Spying was rife and the political police, the Stasi, were everywhere. Punishments for not being “loyal” to the Communist Party were draconian. From what I’ve read, a favorite punishment was to remove, or threaten to remove, children from their parents’ care if the parents did not toe the line. That’s what happened to one of the prisoners mentioned in Connolly’s article, whose three-month-old baby was taken away from her. A standard punishment for not fulfilling your quota of IKEA products in the course of a day was solitary confinement. One of the prisoners mentioned in Connolly’s article, Alexander Arnold, said that if you produced less that 80 per cent of your quota, you’d be thrown into an isolation cell for ten days. The quota wasn’t for a standard eight-hour working day, either: the day was much longer than that. Such isolation is a form of torture. Imagine if you had to spend ten days, or even one day, without seeing or speaking to anyone. Arnold said he still has nightmares about his time in solitary. Some people can endure solitary confinement. When I was a teenager in the mid-1960s, my parents had a friend from the then Czechoslovakia. He spent eight years in Communist prisons as punishment for trying to help someone else escape the country. Seven years were spent working in mines without proper protective equipment. One year was in solitary confinement. He was a wonderful human being, warm and open, who eventually made a good life for himself in Canada in the hotel industry. But very few people can survive what he survived under such awful conditions and come out as whole, psychologically stable, friendly people. For some individuals, even one day in isolation can do serious damage. My guess is that IKEA was not the only company to use East German prison labour. Just as we’ve learned over the years than many private German corporations were complicit in Nazi exploitation of slave labourers (Jewish, Polish, and others), so we will probably learn that East Germany sold its prisoners’ services to many Western capitalist corporations. And despite the efforts of many non-governmental organizations over the last two or three decades to monitor the buying habits of major retailers of consumer goods, corporations are probably still using products made by prison labour now. This is OK if the prisoners are well-treated, paid a reasonable wage, and not punished for not meeting quotas. It’s better to work than do nothing. But it’s not OK if conditions resemble the ones that prisoners had to endure in East Germany. The German branch of IKEA owes compensation to each and every prisoner it employed, and lots of it, even if it employed them inadvertently and indirectly. Until that compensation is paid, I plan to boycott IKEA and I think that other people should do so as well. An apology is not enough. Reference: Kate Connolly, “IKEA apologizes for prison labour,” Globe and Mail (Toronto), Nov. 17, 2012, p. A26.